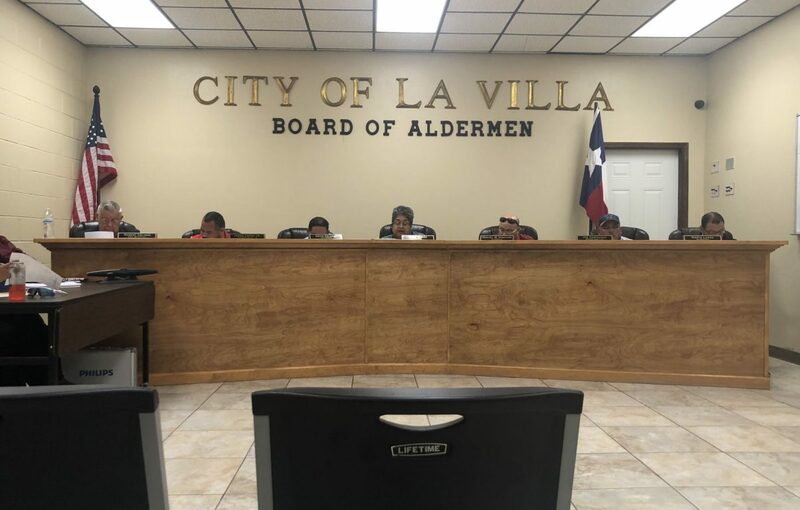 Members of the La Villa Board of Aldermen approved an increase in travel expenses during a meeting on Wednesday, April 4, 2018. LA VILLA — Aldermen here voted Wednesday to pay themselves more when traveling out of town, raising their daily allowance to $250, which is nearly five times more than the standard rate set for federal employees in Texas. Alderman Jorge Lopez motioned to approve the boost in per diem — the amount of money elected officials and city employees are allowed for meals and incidental expenses for overnight trips, such as the one some aldermen took to Las Vegas for a convention in 2016. That year Former Mayor Hector Elizondo and current aldermen David Palomin, Joe Contreras and Mario Lopez took a nine-day road trip to Las Vegas to attend the four-day International Council of Shopping Centers convention. Because the per diem at that time was $250, they each collected $2,250 plus mileage reimbursements, The Monitor previous reported. The board subsequently lowered the per diem rate to $150 after the rate became a hot-button issue following the Las Vegas trip. Asked to elaborate on the move to raise the rate back up, Jorge Lopez declined as he rushed out of city hall Wednesday evening. “She’s the one who called you, so talk to her,” Jorge Lopez told a reporter, referring to Mayor Alma Moron who did not reach out to The Monitor about the meeting. Moron, who only votes when there is a tie on the board, shook her head in disagreement when aldermen approved the increase in per diem for elected officials from $150 to $250 and from $75 to $125 for city employees. “I don’t care what city you go to, you don’t spend $250 on breakfast, lunch and dinner,” Moron said following the meeting. “Like last time, we had two flats, so we had to buy new tires,” Palomin, who’s been on the board for about two years, said. The current federal per diem rate for meals and incidental expenses is $51 a day for federal employees in Texas, according to the U.S. General Services Administration website. La Villa employees and elected officials are also reimbursed for mileage and hotel expenses in addition to the per diem allowance. “Having it set at $250 and $125 has always been a lot, because comparing it to other municipalities and school districts in the other cities, they don’t get that much per diem,” Moron said. In Mercedes, a larger municipality, elected officials receive about $50 for meals when traveling out of the city to attend conferences or conventions. Commissioners are reimbursed for mileage or the total cost of a flight, whichever is less expensive. Alderman Mario Lopez, who did not oppose the increase in per diem on Wednesday, said he drove to Las Vegas in 2016 because he has a fear of flying. “This is our taxpayers’ money that we could use for other projects versus per diem,” Moron said.